Dan is an angel. He is also a troublemaker and also an optimist. 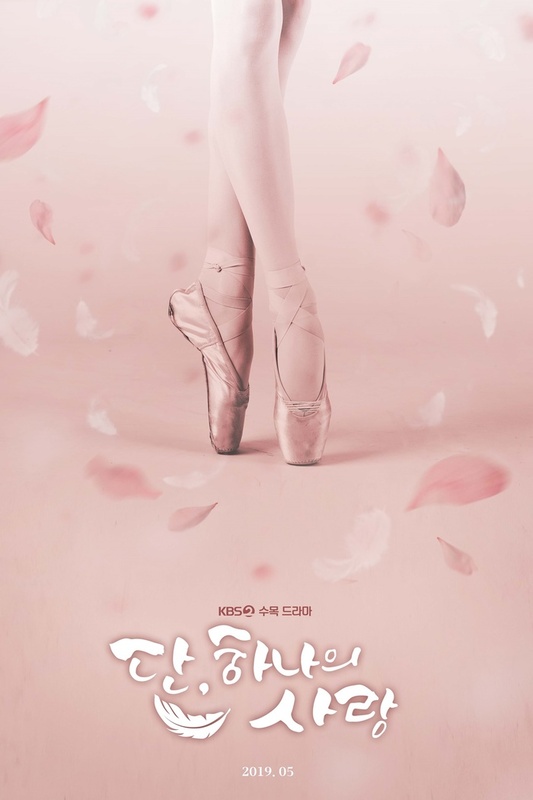 Yeon-Seo is a ballerina who does not believe in love. Dan then receives a mission. If he succeeds, he can return to Heaven. His mission is to find true love for Yeon-Seo, but Dan soon falls in love with her. "Dan, Only Love" takes over KBS2's Wed. & Thu. 22:00 time slot previously occupied by "Doctor Prisoner" and followed by "Justice" July, 2019. First script reading took place February 18, 2019 at KBS Annex Broadcasting Station in Yeouido, South Korea. Inspirit t Apr 20 2019 8:49 am Myung soo oppa,you're so handsome!!?? Htg Apr 17 2019 7:21 am shin hyesun is blind but she will dance ?? it weird. anyway i will watch this drama for shin hyesun i hope it will be good i like the teaser. Sarah Ali Apr 12 2019 12:17 am I love the main guy Kim Myungsoo ,he's so talented as a actor and a singer, also one of the main top visual of kpop industry.His face alone is enough to watch ,but he got the talents also. All the best myungsoo. Some jealousy fans are hating him because L always outshine the visuals of main actor whenever he take second male lead role. Best example is "My lovely girl" drama. 98% fans wanted Main actress Kristal to end up with L. That's not happened though. Yonie Mar 31 2019 4:36 am I love this pairing!! Shin hye sun is a good actress and is can be paired with any actor! Ann Mar 19 2019 9:18 am I am soooo excited for this. Literally checking everyday. I want to watch them already ? Juno Feb 14 2019 6:11 am Im so excited to this drama ?? Good Jan 23 2019 6:10 am Director of Healer and Queen of Seven Day It interests me and Shin Hye Sun is an excellent actress. Rire Jan 12 2019 8:06 am Excited for this! I love both L & Hye Sun! kontrol27 Jan 02 2019 8:33 pm people just have to accept that idols can be multi talented... Kim Myungsoo is a good dancer, singer and guess what, an excelent actor. I'm looking forward to this drama. Cutie Jan 02 2019 5:14 pm Nice. Ouuuh Dec 29 2018 7:04 am I hope L (I would prefer JunHo or Lee Joon) will be up to Shin Hye Sun, I liked his drama Miss.hummarabi, I find he was convaiting without being excellent, I must admit that a role of judge is quite difficult so I hope that it will be better as an angel. Fighting ! Dec 26 2018 2:57 pm it will be broadcast in May, the drama Vagabond is also broadcast in May, there will be competition. go shin hye sun i support you i hope this drama will have good raiting !! Fighting ! Doiremi Dec 25 2018 9:48 am Guys face is too pretty for his acting to be considered serious. kittyweese Dec 24 2018 10:01 am I think L is completely underrated as an actor. He has been excellent in every part I have seen him in. The pattern is always the same -- L is cast, there are negative comments and disappointment, then glowing reviews of his acting when the drama ends. Most people are multi-talented. Just because you are a singer, does not mean you cannot act. I look forward to seeing L in this part. L for Love Dec 17 2018 4:36 pm Yass L ! FIghting ! Beca Dec 17 2018 12:19 pm Please hire a real actor for this drama!!!! Keep idols"wanna be actors" to a minimum!!!! Mmm Dec 14 2018 10:35 am Omg, shin hyesun and L!!! I like both of them, really look foward to this drama ???? Sen Dec 13 2018 2:29 am An actor for the male lead please. I love Shin Hye Sun and I want to see her ext with a good actor and not an idol. MatchaLatte Dec 11 2018 3:49 am Hope kim bum will play as Dan..